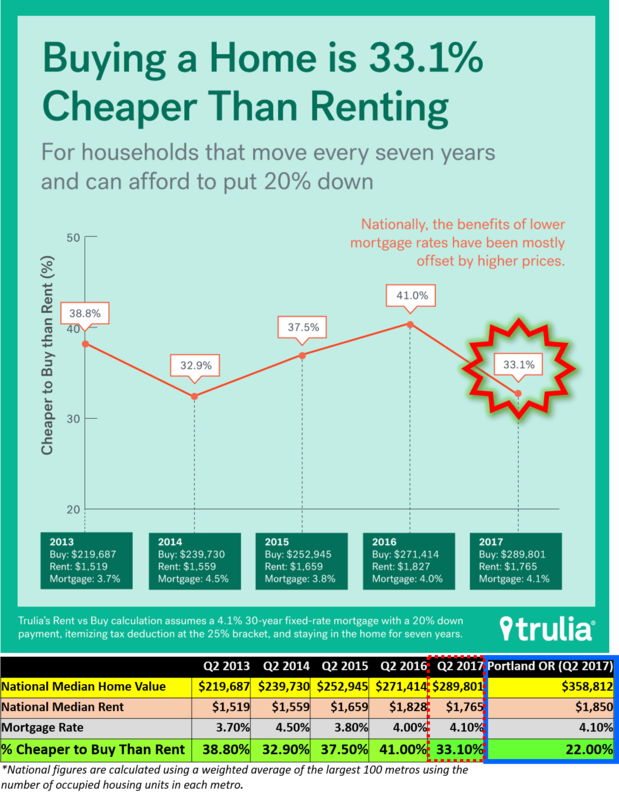 Trulia’s analysis shows that on a 30 year mortgage with 20% down payment and with a plan to stay put for 7 years, a US house is on average 33.1% cheaper to buy than rent. For Portland that number is 22%. You have to take this with a grain of salt, as the numbers vary a lot across the country. See more data for top 100 US cities from Trulia, latest data taken in Apr 2017. Click to enlarge the image. You can get your personalized numbers using their calculator here.